Hope everyone had a great weekend! 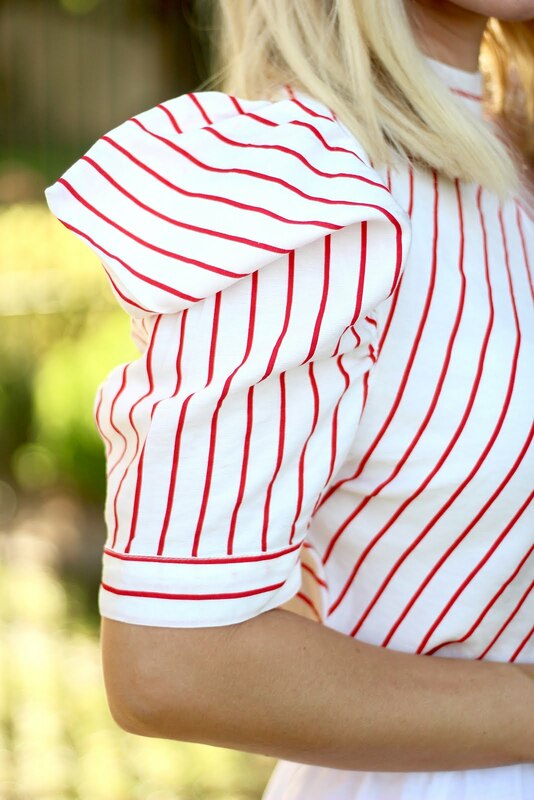 How darling is this stripe top! The puff sleeves are my favorite. And there is something about a high neck collar that just makes an outfit look so chic and put together. It also looks adorable with a pair of distressed shorts and sandals. Or pair it with some jeans and some pumps for a night out look.